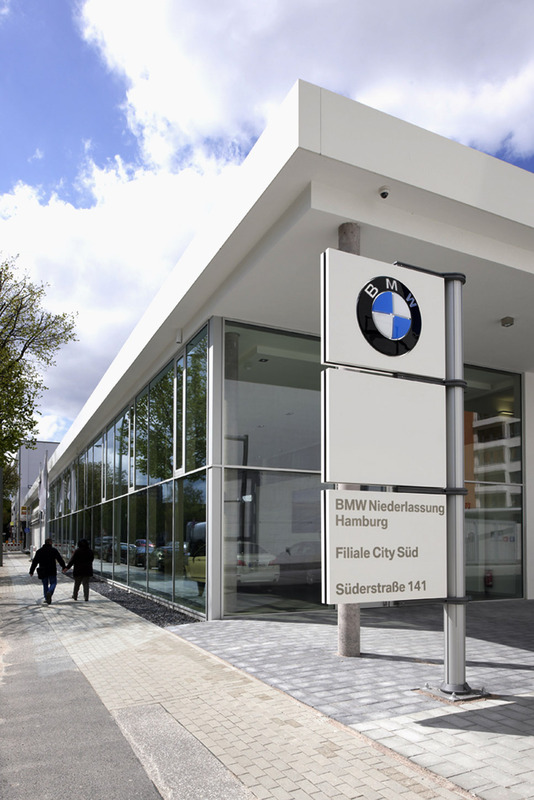 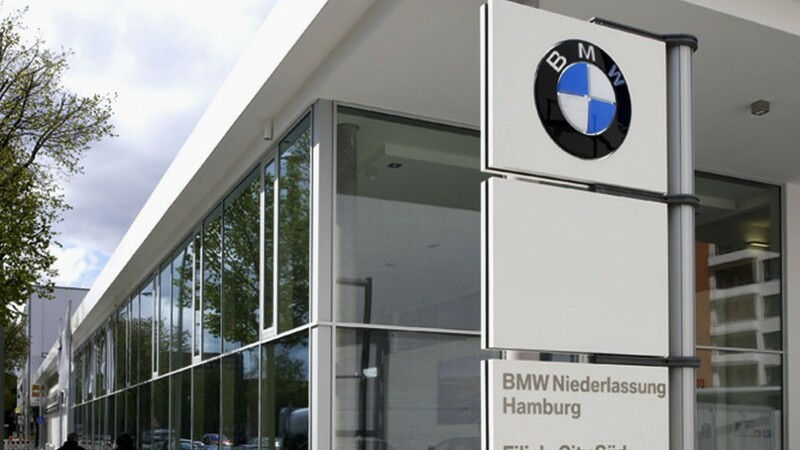 The new BMW branch at City-Süd, consisting of a showroom and administration building as well as a car park, forms an elongated block running parallel to “Süderstraße”, Hamburg’s so-called ‘car mile’. 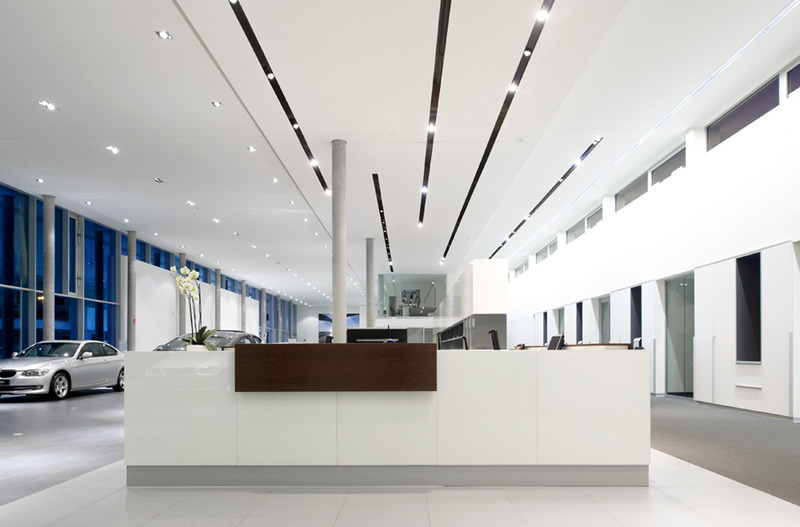 A dynamic roof overhang distinguishes the prestigious entrance area. 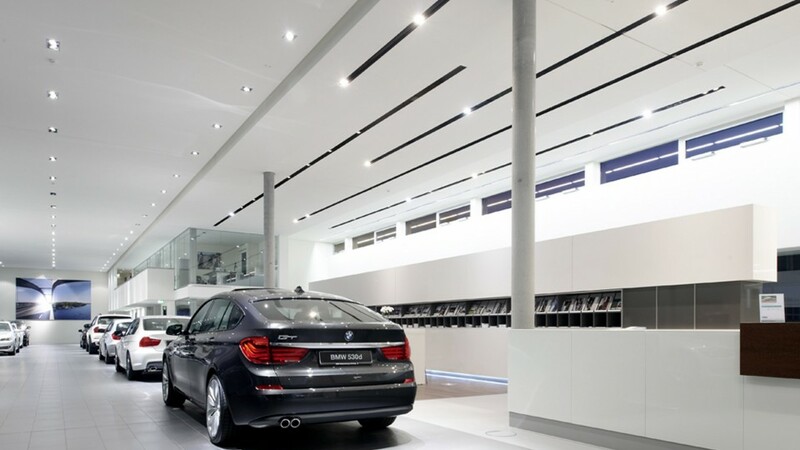 The “Driving Gallery”, a display of new cars organised like a road which runs through the long building, begins here. 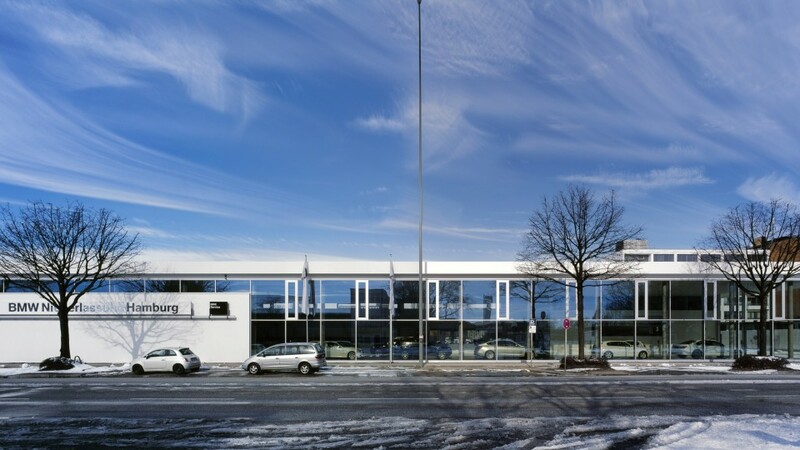 The large glass facade on the street displays the vehicles to the outside. 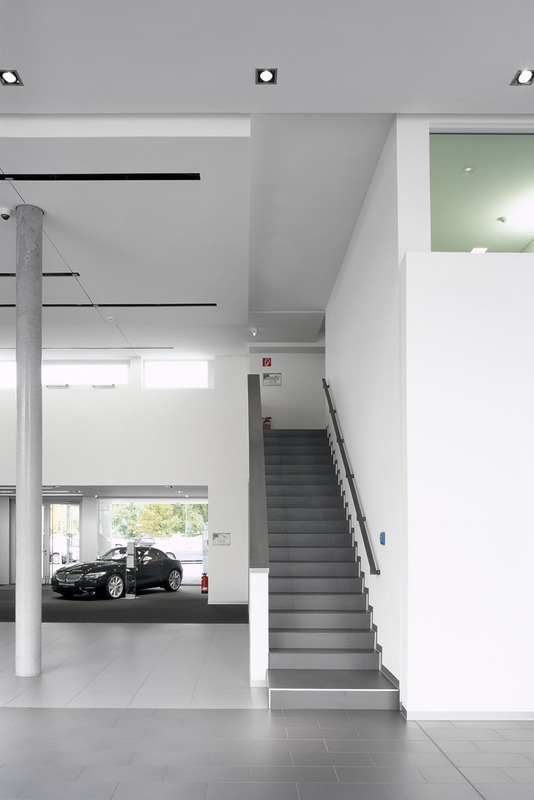 Adhering to a linear space concept, a range of functional areas are aligned alongside the road on two storeys, including sales offices, waiting areas, a delivery area, and administration. 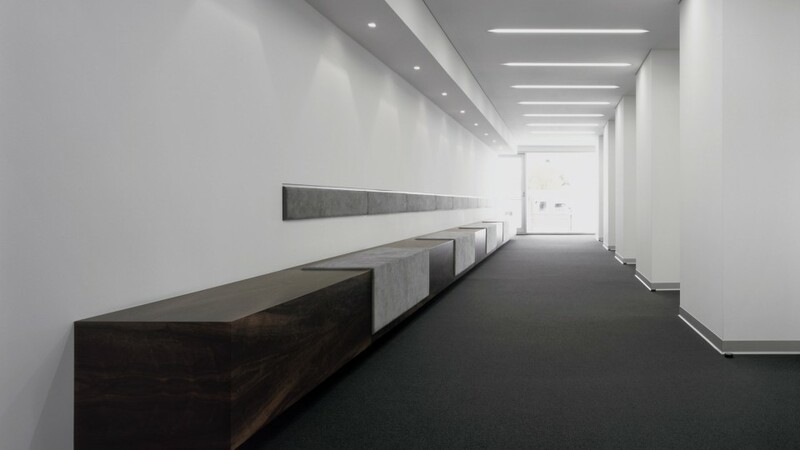 The linear concept is further enhanced through the distinction between floor coverings and ceiling. 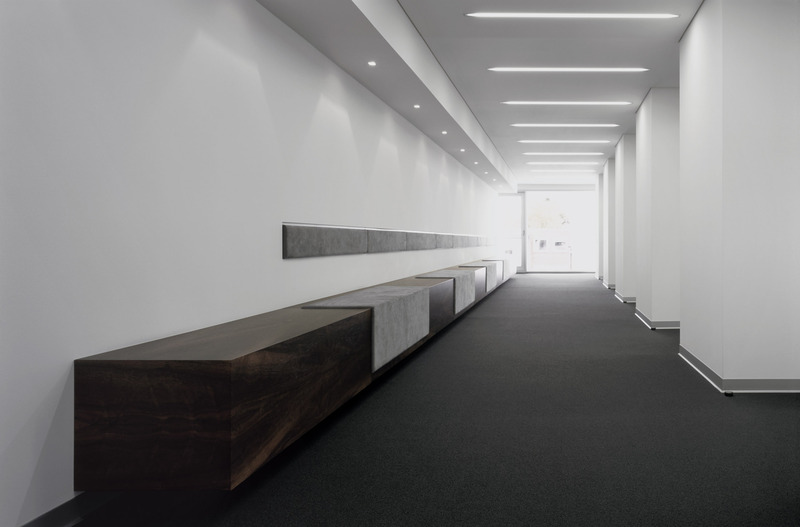 In the reception area, a central, multi-functional structure is positioned with its front surface perpendicular to the room’s axis, thus creating a spatial tension. 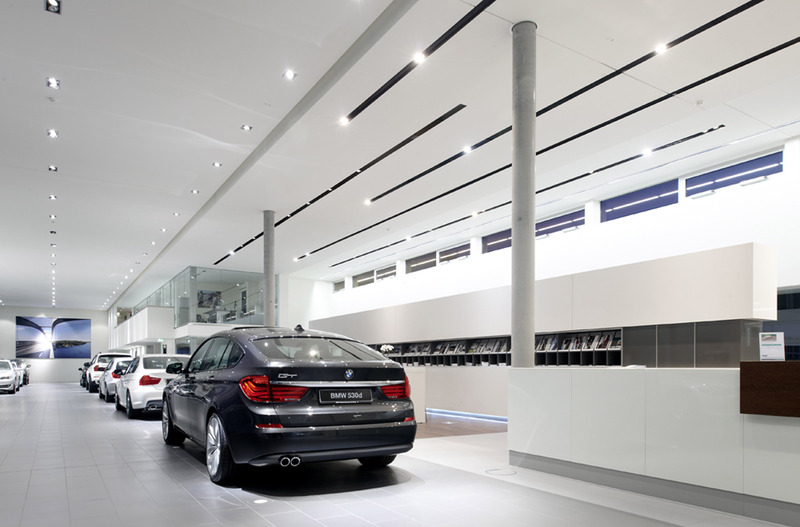 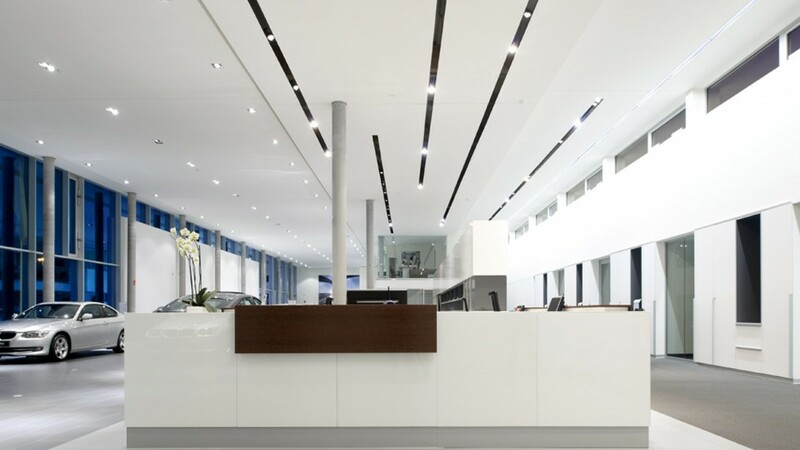 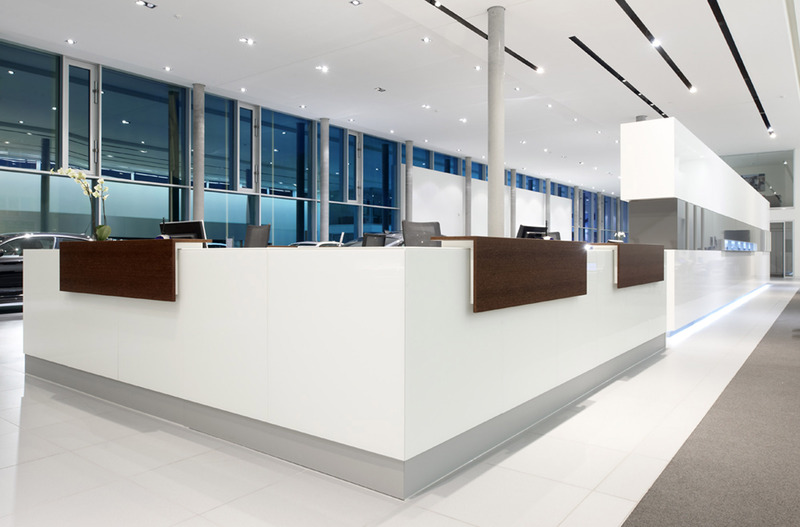 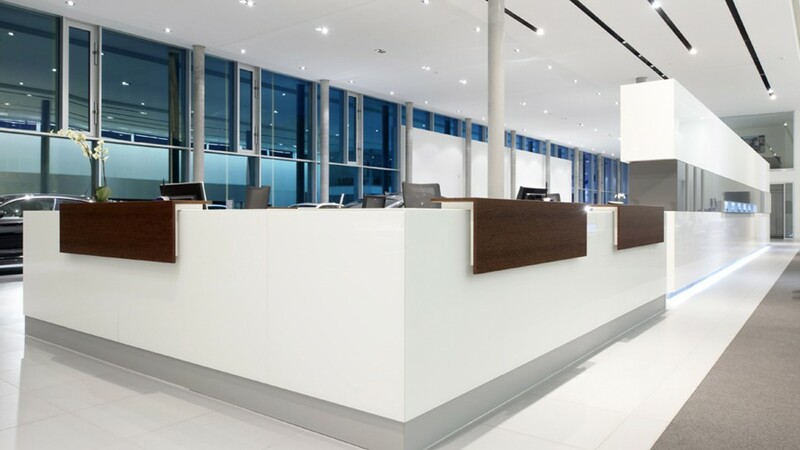 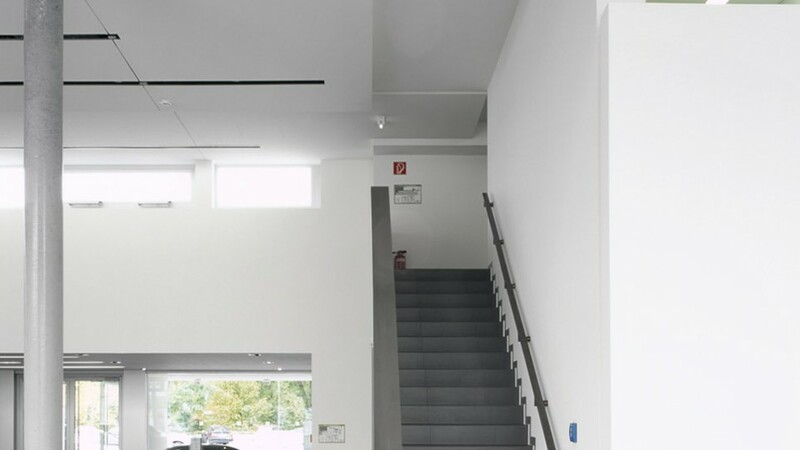 The deliberate interplay of lines and surfaces emphasizes the ‘dynamic’ theme, making this a space that the customer will instantly associate with BMW.